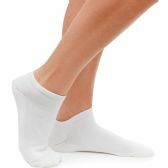 Wholesalesockdeals is proud to offer the largest selection of wholesale basic and trendy ankle socks. 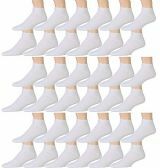 We carry wholesale basic ankle socks in basic white and black and even solid neon colors, wholesale printed anklets for girls in super cool patterns like pastel camouflage, fun stripes, hearts and skulls and splatter paint , wholesale no show peds in fun prints or solids , wholesale athletic sports socks with cushioned sole and reinforced heel and toe and so much more. Get the most for your money when you buy in bulk from wholesalesockdeals! Wholesalesockdeals has the lowest bulk prices on hundreds of styles of kids ankle socks. Here at wholesalesockdeals we believe in giving our customers the lowest prices without compromising quality. We are proud to work closely with many charitable organizations, childrens centers, homeless shelters and government programs thoughout the country. Enjoy great promotional savings and fast reliable shipping when you buy in bulk from wholesalesockdeals. Shop today and start saving !